1. Adaptive Lighting System to achieve all night lighting when weather change. Constant current output. 2. 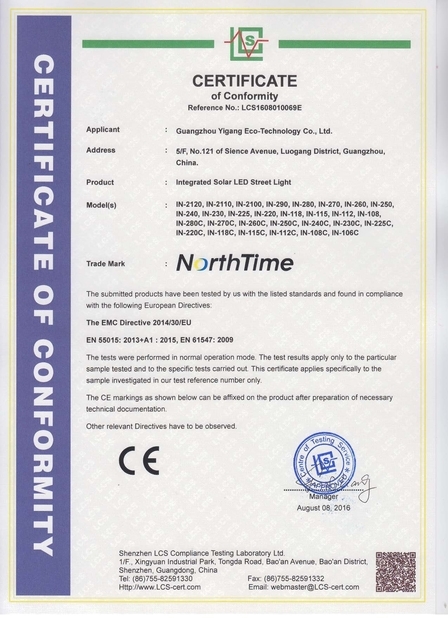 Variable Frequency Technology to control and adjust the LED driver frequency to reach the max output of LED and Battery. 3.Temperature Control System to protect the battery charging and discharging in high temperature. 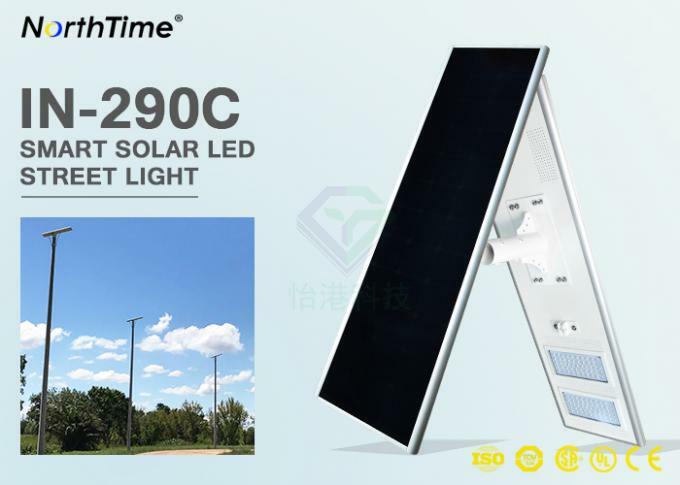 4.Big solar panel and high brightness all-in-one design, no need separated mount for solar panel and light. 5.The adjustable solar panel and LED to increase the charging efficiency and lighting area. 6. 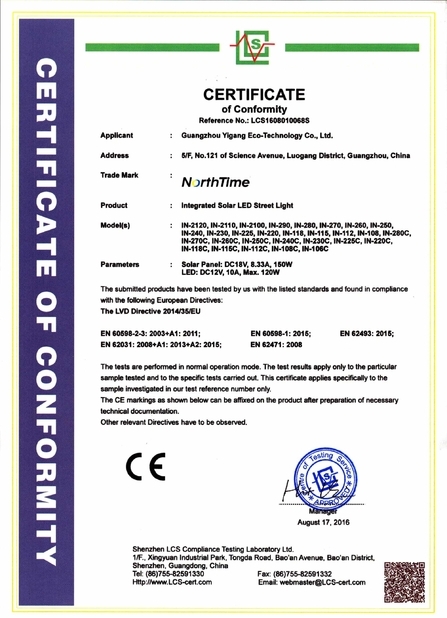 Customized high quality PIR sensor. 7. More professional lighting distribution for road lighting, wide lighting angle reach 120°. 8. Remote control to set the different lighting mode. 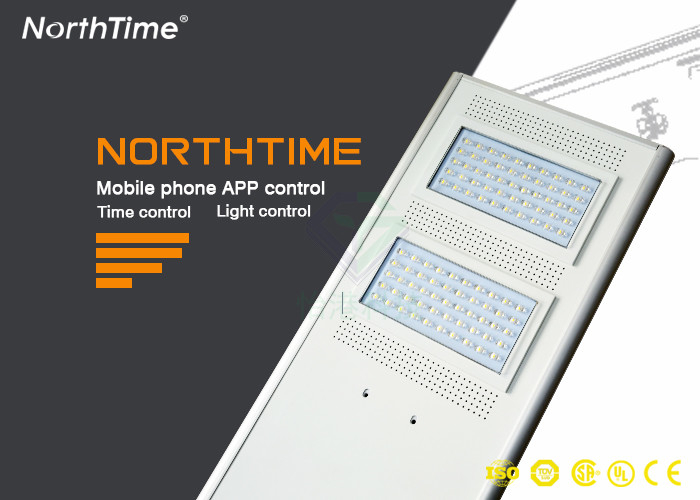 All NorthTime products are private model with patent, it will avoid same product with lower price from other competitor. You can image when you spend much money onto the common product, your competitor just use the same product or similar product with lower price to rap your effort, how sad you will feel for your business. (1) Can design and produce based on customer private design in 1-2 months because we have powerful design team with senior R&D center. (2) Customized Logo, packing service to show your elegant brand style. 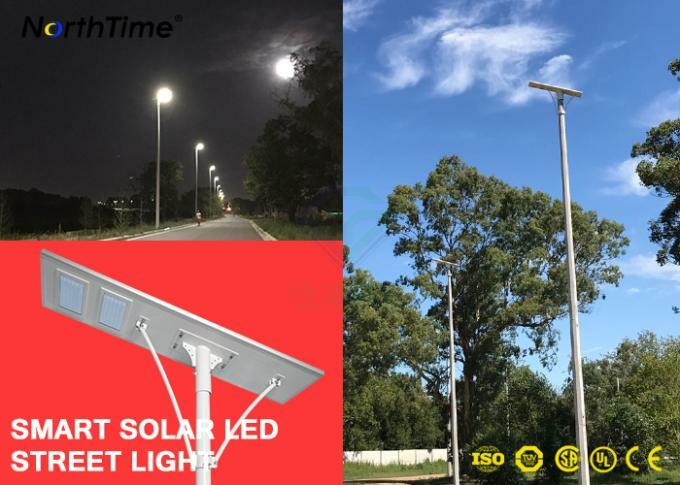 Based on our 8 years solar light experience, our qualified rate is over 99.86%, but if customer provide proof to prove our product with defect, we will be responsible for the problem parts. Firstly, based on 8 years statistic, our qualified rate is over 99.46%, all products must pass by 4 step inspections----IQC, QC, QA, FQA and it can greatly assure our quality. 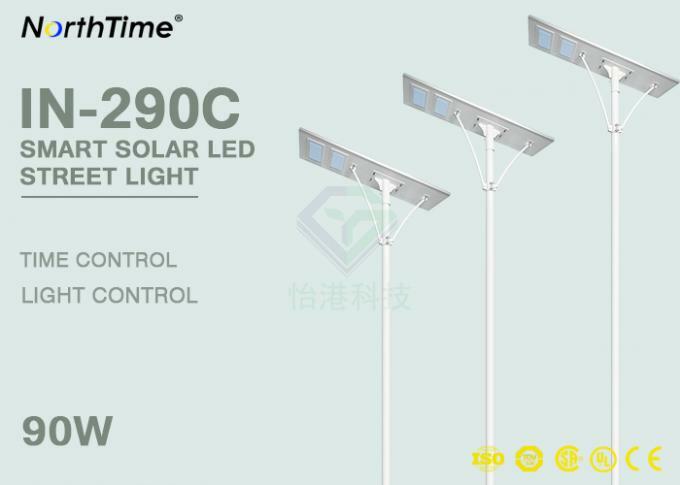 Then, all the product must pass actual outdoor installation test for 1 month. 2. Help our customer to establish market strategy, how to win your local market.